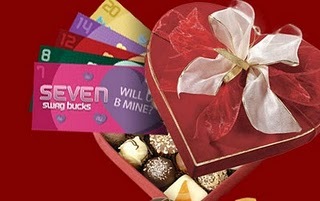 Have you gotten any special Valentine Swag Bucks in your searches? There are 5 new Valentine Swag Bucks (7, 8, 12, 14, and 20). If you collect all of them before Valentine's Day ends you'll get a 50 Swag Buck bonus! Today is Mega Swag Buck Friday so you should have a pretty good chance of collecting some. These are great deals, thanks for sharing.